It has frosted in most places and snowed in many places. So, good news for drinkers of the famed Pumpkin Spice Latte, as I will no longer be judging them for doing so. It is now the correct temperature for hot coffee, and so everyone should be drinking hot coffee and not cold coffee. The Pumpkin Spice Latte is a fantastic fall drink, fitting with the spirit of the season. 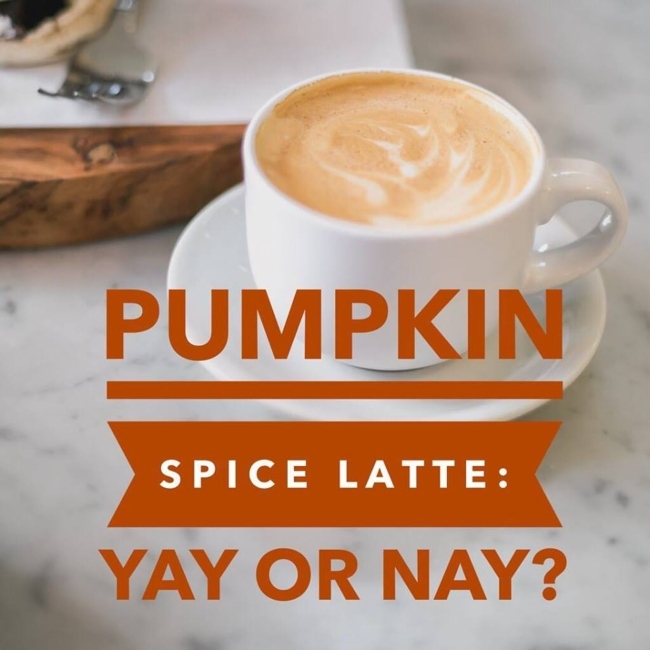 Has the marketing and general hoopla surrounding the Pumpkin Spice Latte gone completely off the rails? Yes, absolutely. That's the only reason I'm writing this article. (We even did a taste test video on all of the obnoxious Pumpkin Spice products!) Should you care about any of that when making beverage choices? No, absolutely not. On one hand, the Pumpkin Spice is just cloves and nutmeg, not actual pumpkin. On the other hand, I do not care about any of that because cloves and nutmeg go great together. Why would anyone complain about that? In a previous article, I argued at the time that anyone drinking hot coffee when it's 80 degrees out is insane. I'm delighted to announce that the pendulum has swung all the way to the other side. Where I live, this week's forecast calls for highs in the 60s and lows near freezing. In a related story, I will be drinking hot coffee from now until approximately May when I switch back to cold brew. You should follow my lead, not because I'm a cool guy with excellent taste in which temperature beverages to drink, but because I'm right. How do YOU drink your coffee -- hot or cold? Does it change depending on the time of year? Let us know in the comments below. This coffee device is the perfect start to those chilly mornings!